Know About The MUDRA BANK. We all are aware of the government policies, rules and regulations & always feel that the benefits of govt policy to get is tough. During budget session, Finance Minister of India had announced a new bank for small entrepreneurs. In that scheme, anyone can get a loan under MUDRA scheme, known as PMMY. Govt. 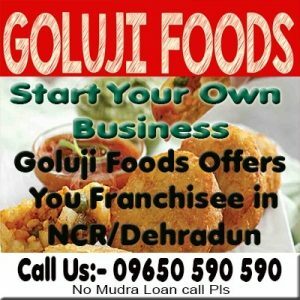 has announced three kind of loan scheme under MUDRA 1. Shishu 2. Kishor 3. Tarun. You will get up to Rs 10 lakhs under Mudra Loan Scheme. Mudrabank.com not associated with govt. of India or MUDRA agencies & we are not also providing any kind of loan through this website. We launched that website so that readers can share his/her experience, share problems and update about the procedures of Mudra bank. Only Banks will provide the loans under MUDRA scheme. All the leading banks like State Bank of India (SBI). Punjab National Bank (PNB), Bank of Baroda (BOB) & others nationalize banks are providing MUDRA loans. Please visit mudrabank.com and share your experience and issues. We will send your views to agencies who are monitoring MUDRA Process. It will help to reduce issues & guide them, who are planning to get loan Under MUDRA Scheme. We all know that MUDRA is an unsecured loan & bank will not prefer to provide it. You can write us your views, problems & issues on jeevan (at) janpaksh.com. We request you, please do not pay the bribe to get Mudra Bank or any kind of loan. We know because of collateral free loan lots of banks are not taking interest to disburse Mudra Loan. Please feel free to write about it. Mudra Yojana Under Pradhan Mantri Jan Dhan Yojana is free & please do not pay the bribe for it. All are eligible for it.